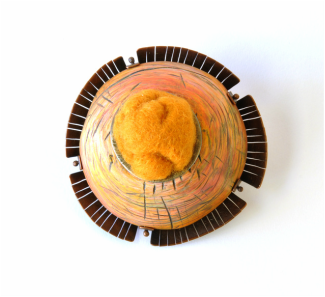 "Diatom Series: Vacuole" brooch. 2013. Sterling silver, copper, polymer, colored pencil, acrylic paint. 3 x 3 x 3/4 in. 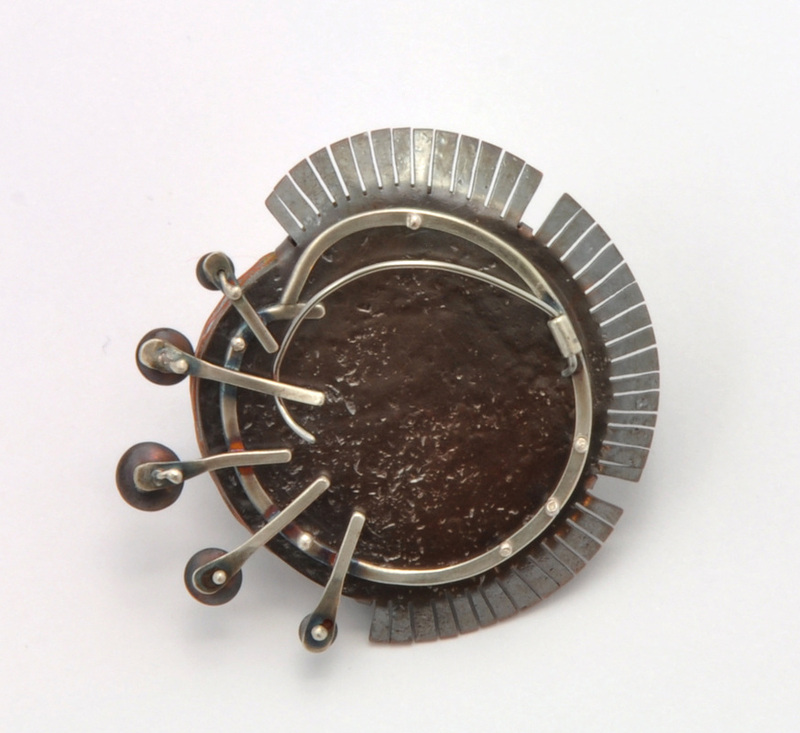 "Diatom Series: Scarred" brooch. 2013. 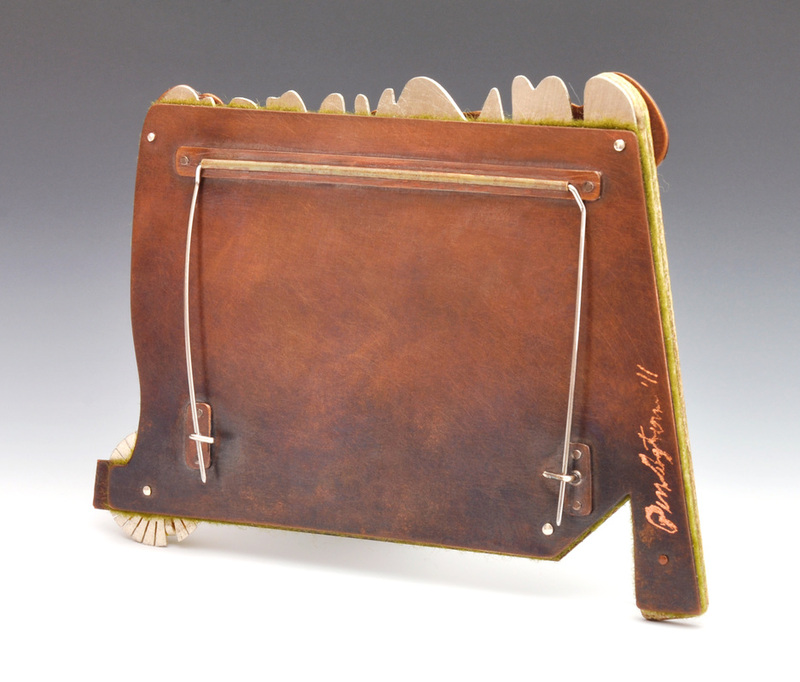 Copper, wool, sterling silver, polymer, colored pencil, acrylic paint. 2 1/2 x 2 1/2 x 1 3/4 in. "Diatom Series: Tucson Squiggle." Brooch. 3 x 4 3/4 x 1 3/4 in. 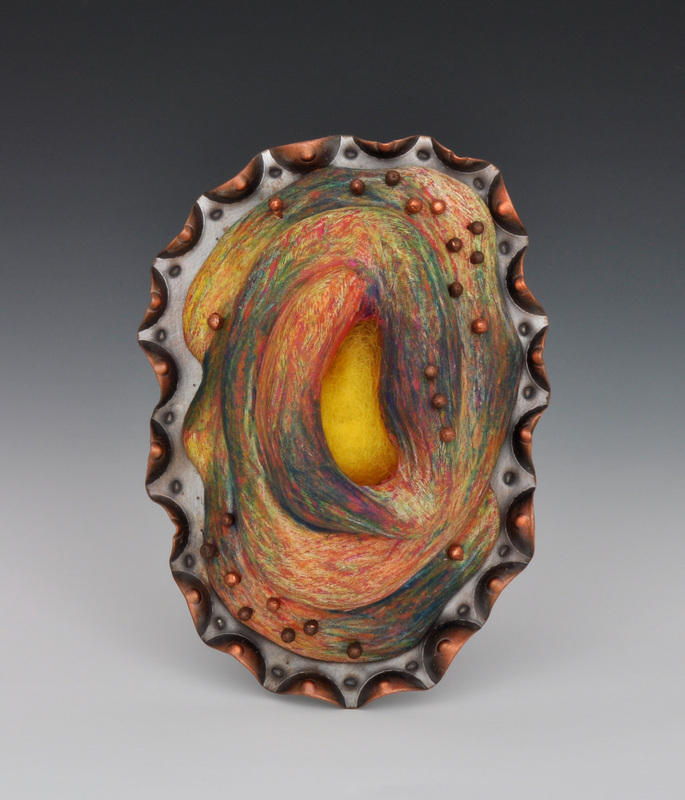 Copper, wool, polymer, colored pencil. 2012. 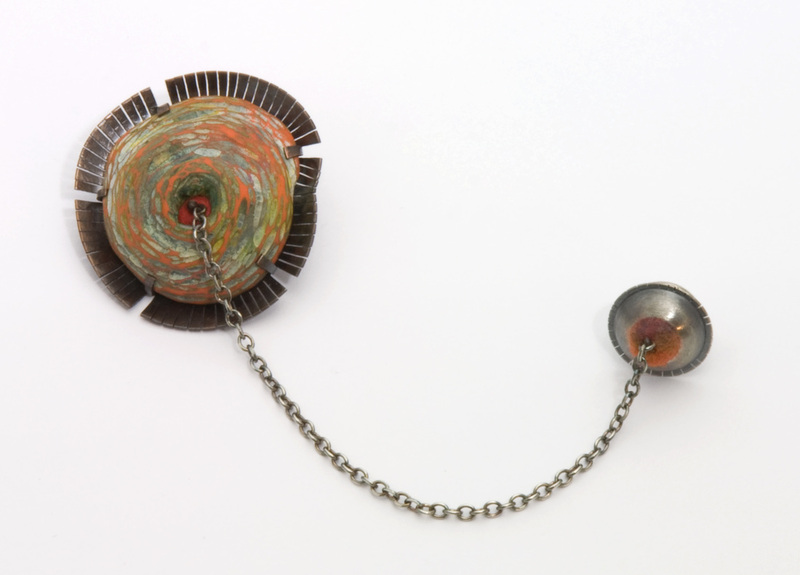 "Diatom Series: Unsettle" Brooch. 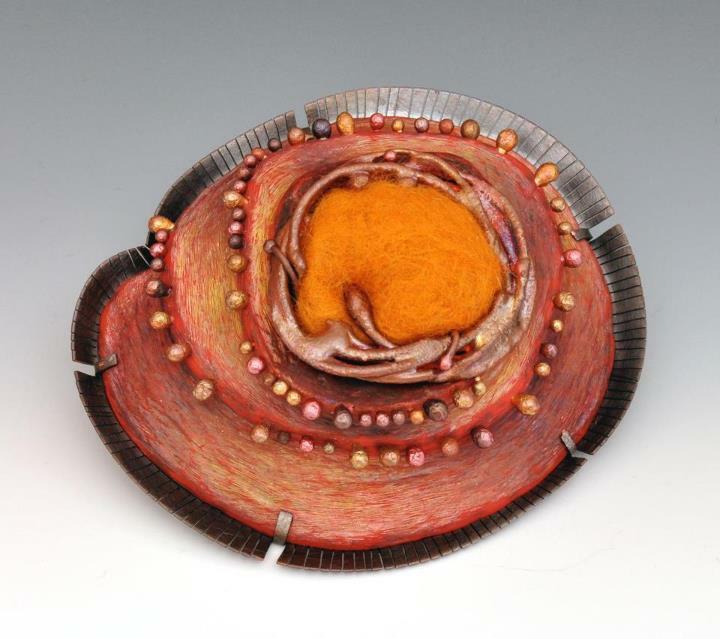 Sterling silver, copper, polymer, handmade wool felt, colored pencil. 2012. "Phagocytosis" Brooch. Sterling silver, copper, polymer, handmade wool felt, colored pencil. 2012. "Phagocytosis" back Brooch. 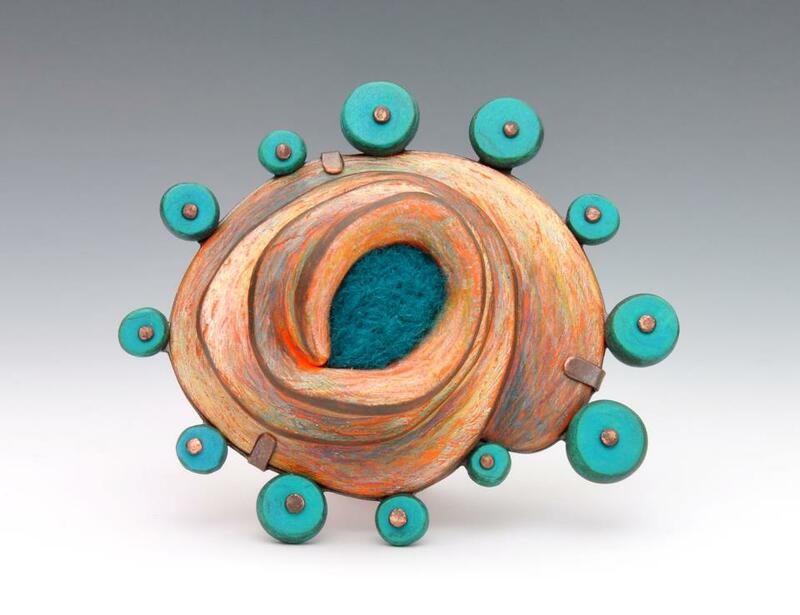 Sterling silver, copper, polymer, handmade wool felt, colored pencil. 2012. Untitled. Brooch. Sterling silver, copper, polymer, wool. 2012. Untitled Back. Brooch. Sterling silver, copper, polymer, wool. 2012. "Specimen Series: Specimen II." 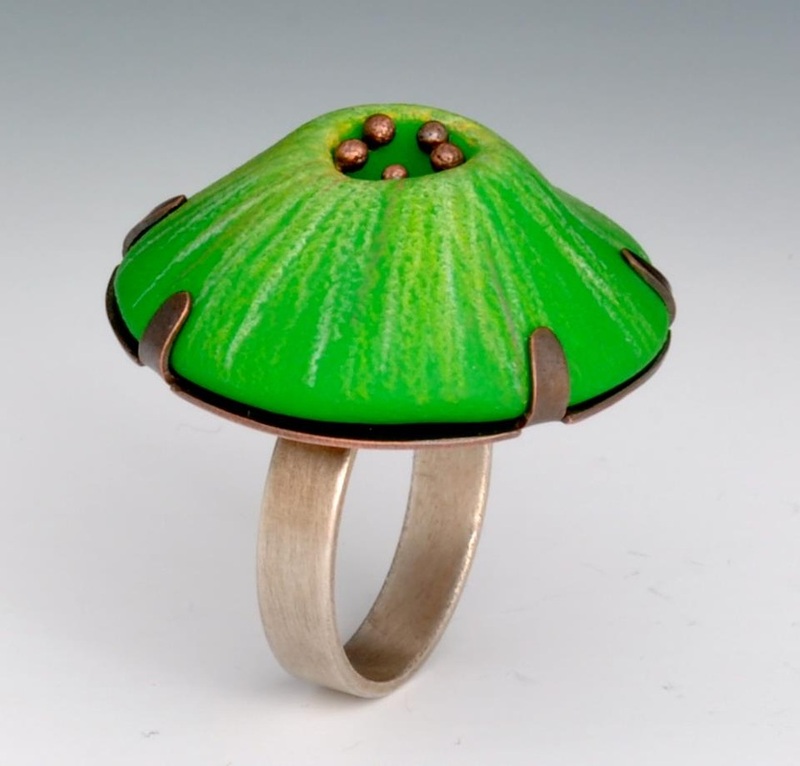 Sterling silver, copper, polymer, colored pencil. 2012. "Sucker" brooch. 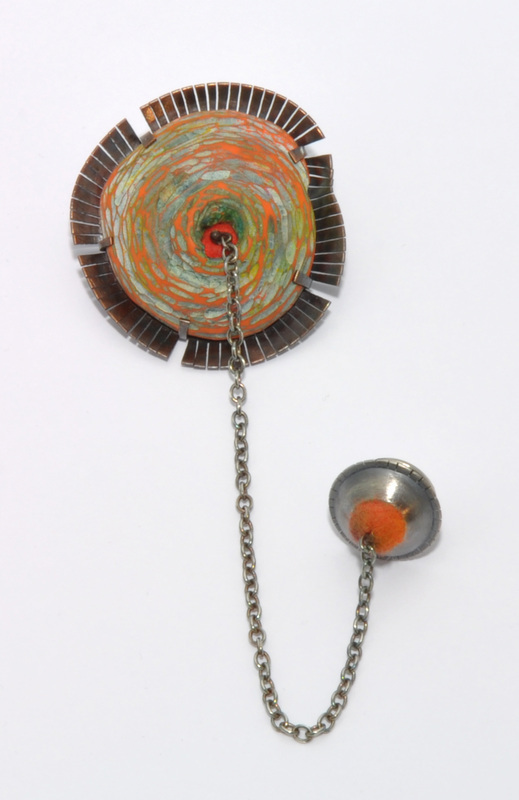 Sterling silver, copper, polymer, acrylic. Approx. 3/4 in. Art Jewelry magazine "Quilling Paper Design Challenge" ring. Sterling silver, copper, polymer, acrylic, quilling paper. "Nubs." Necklace. Sterling silver, brass, copper, polymer, sterling silver chain, sterling silver toggle. 2012. "Conidiophore III." Brooch. 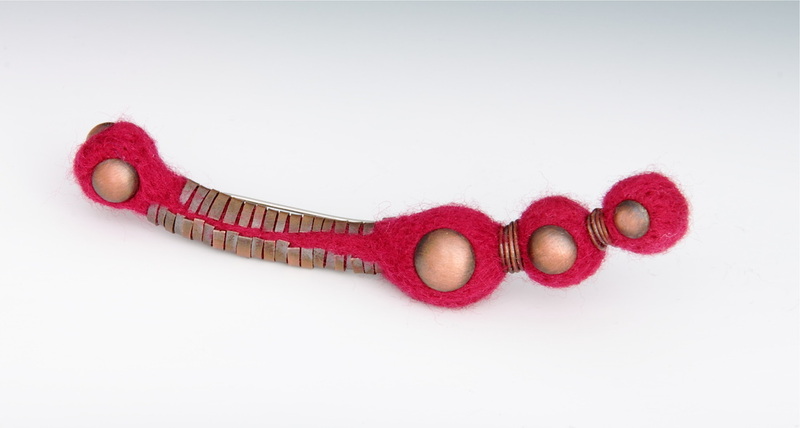 Sterling silver, copper, handmade wool felt. 2012. 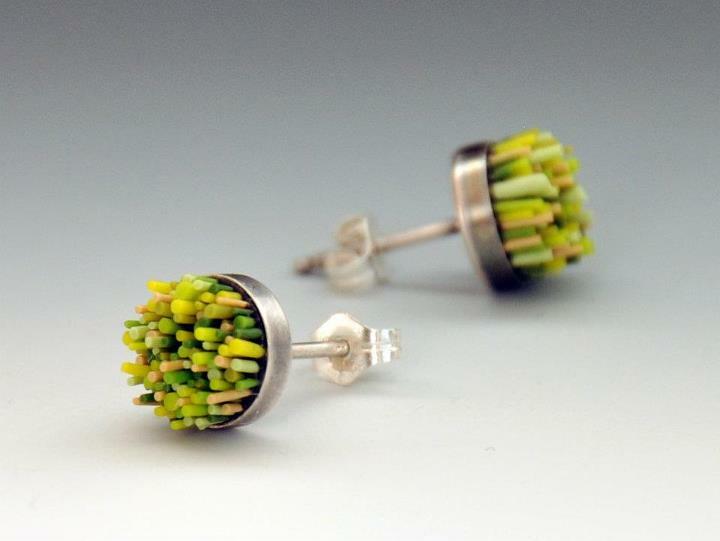 "Grass Studs." Sterling silver, polymer. 2012. Inspired by a workshop with Cynthia Toops.